Planning to go to college? 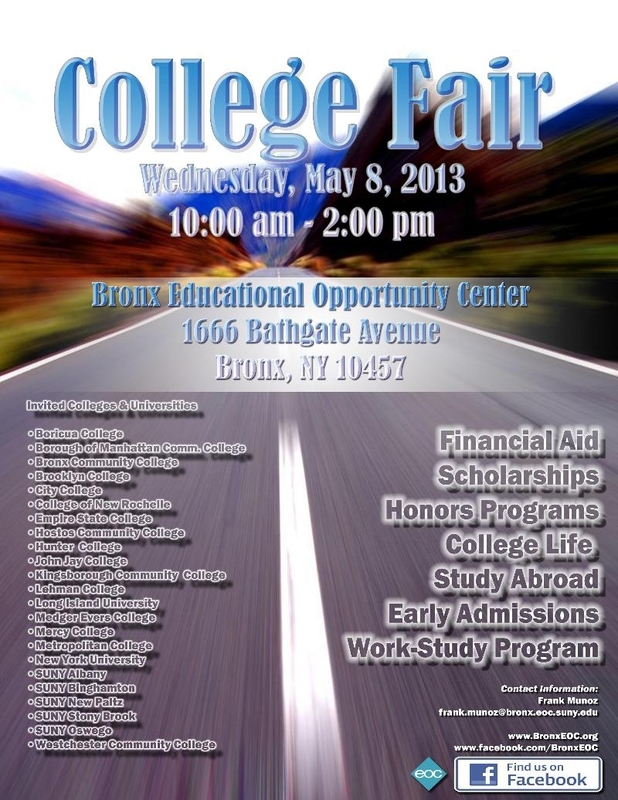 Check out BEOC’s College Fair, May 8th! Would you like to attend an EMT training class for free? Sign up for a 3-month class beginning on May 13th or May 20th!! *Attend for free if you meet certain eligibility requirements!!! To schedule the reading and language exams which will determine your eligibility for this course, please contact: Ms. Frontus (347) 374-2455 or e-mail: mkf25@yahoo.com. 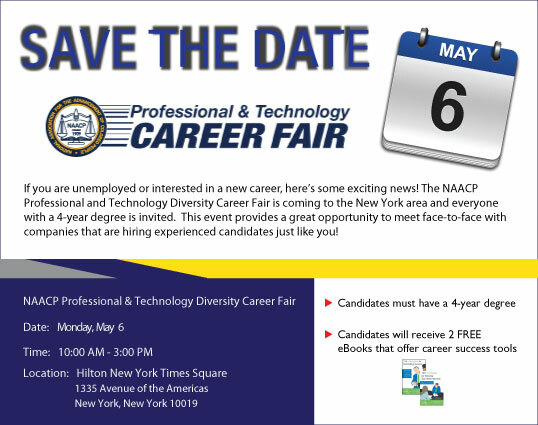 The NAACP is presenting its Professional Technology and Diversity Fair! Diversity means everyone! Employers will be set up in a trade show open house environment. No appointments needed – Candidates may meet with the employers they choose. You are encouraged to visit the employer websites and apply for jobs prior to attending. FREE and open to all candidates with a 4-year degree!